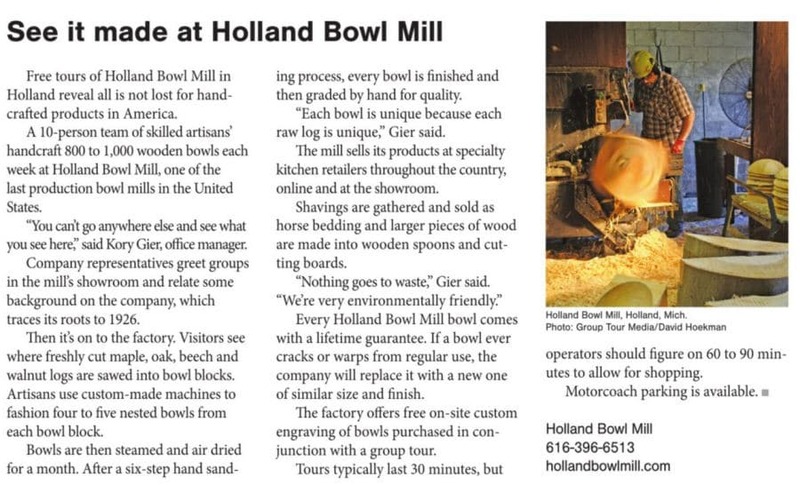 HOLLAND, MI — It may not be Windmill Island or Dutch Village, but the Holland Bowl Mill is finding a foothold as a tourist destination in a West Michigan community known for its Dutch heritage and Tulip Time Festival. 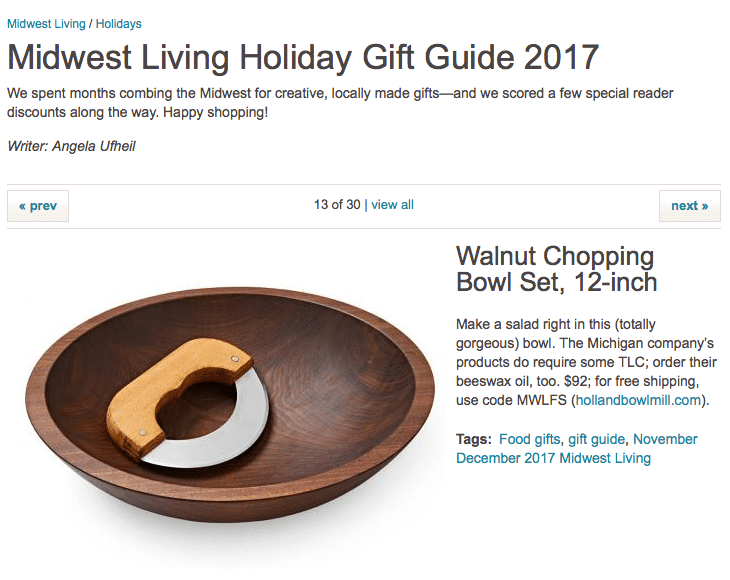 Dave Gier has grown the operation, at 120 James St. in Holland Township, into the largest commercial wooden bowl manufacturer in the country, supplying thousands of wooden bowls to retailers big and small. But his son, Kory Gier, the company’s vice president, who came up with the idea of giving free tours and investing in a showroom to connect customers with the finished product and the behind-the-scenes manufacturing process. They can smell the wood, hear the whirl of the machines carving the logs and watch the process from start to finish. The tours are crowd pleasers, says Sally Laukitis, executive director of the Holland Area Convention and Visitors Bureau, whose office promotes a stop at the mill as a something to do when visiting the city. “If you are a tourist, you have an expectation of tulips and wooden shoes, you don’t expect a wooden bowl factory,” Laukitis said.